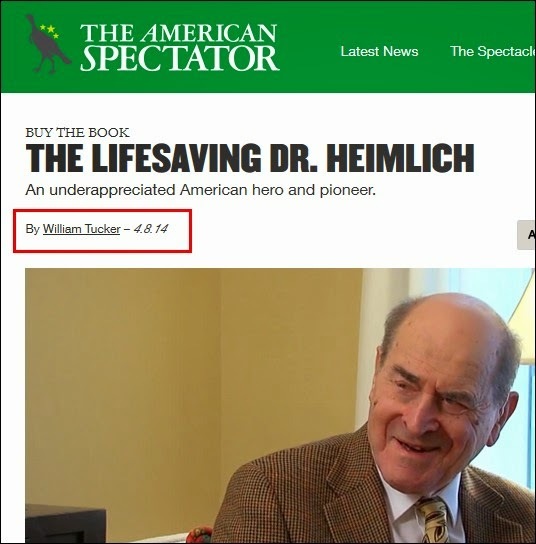 As I reported, yesterday the American Spectator magazine published writer William Tucker's lengthy, glowing review of my father's autobiography, Heimlich's Maneuvers, in which he recommended that my father be awarded the Presidential Medal of Freedom. 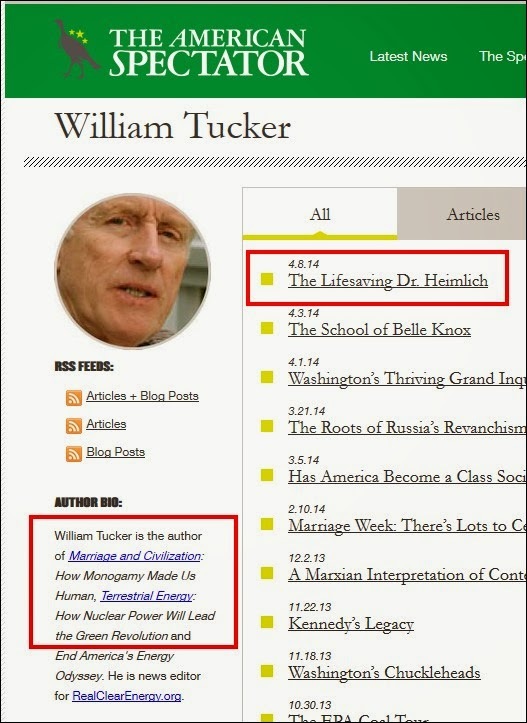 Per my item, Tucker repeated my father's long-debunked lie that the American Friends Service Committee supplied North Vietnam with "tens of thousands" of Heimlich chest valves during the war. 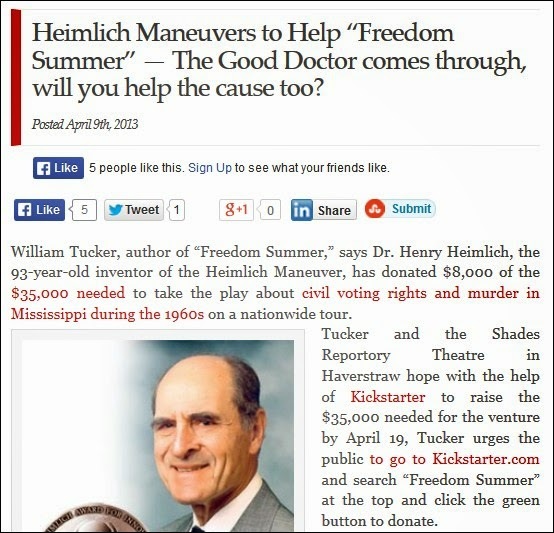 Considerably more serious than getting snookered by a nonagenarian, Tucker's book review in the Arlington, Virginia-based national political magazine failed to disclose that last year my father reportedly donated $8,000 to help take a play he wrote "on a nationwide tour." Today I'll ask an American Spectator editor if this is acceptable policy and will report the results in a future Sidebar item. 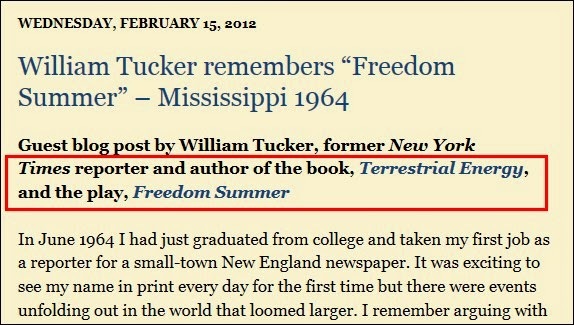 UPDATE: According to this bio, William Tucker lives in Piermont, NY. His phone numbers are listed at the end of a 2010 Journal News item about his play. This item was slightly revised for clarity.